Henry C. Chipman was born in Tinmouth, Rutland County, Vermont, on July 25, 1784. His father was Nathaniel Chipman, a well-known judge, U.S. Senator and legal writer of his day. Chipman graduated from Middlebury College in Vermont in 1803. During college he grew so sick that he left Vermont and lived on the island of Jamaica for four years. Upon his recovery, Chipman settled in South Carolina and practiced law in Waterborough. During the War of 1812, Chipman served with the South Carolina Regiment and was stationed on the Island of Beaufort. The regiment protected against a possible British invasion in Hilton Head. Chipman gave up his position at the Herald to accept the appointment as the Chief Justice of the Wayne County Court. In 1827, upon the death of Justice John Hunt, Chipman was appointed to the Supreme Court of the Territory of Michigan to fill the vacancy. Chipman joined William Woodbridge and Solomon Sibley on the Bench. Once Chipman’s term expired, President John Quincy Adams reappointed him and Chipman served the Court until 1832. 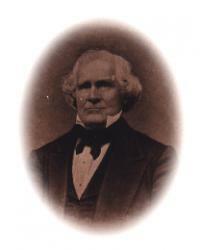 After several years of private practice, Chipman returned to the judiciary in service on the Criminal Court of Wayne County from 1841 through 1843. Chipman again returned to private practice and continued to write for the press until his death on May 31, 1867. Chipman married Mary Martha Logan and the couple had nine children. He was affiliated with the Episcopal Church and served as a trustee in the vestry of St. Paul’s.